Alison Powell, Associate Technical Director at Arcadis, will address the next meeting of the Civic Society at 7.30 on 18th April, at Seion Chapel Vestry. Entry next to former Nat West bank. 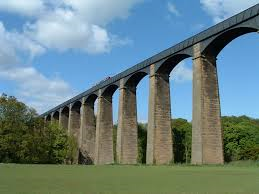 She wants to discuss the future of the Pontcysyllte World Heritage Site with local interested parties. If you want to hear what is proposed and make your views for the future known, you are welcome to attend. The Civic Society Award for 2017 will also be presented at that meeting. The recipients will be Llangollen Silver Band, for “service to the community”.